Spiritual growth plans tend to treat everyone like they are exactly the same. They say if you will do steps 1, 2, and 3, you will grow. But what if what works for you does not work for me, or vice versa? So here is my attempt to offer a beginning place for looking at spiritual growth differently based on which personality type you might be. Take it for what it's worth to you. 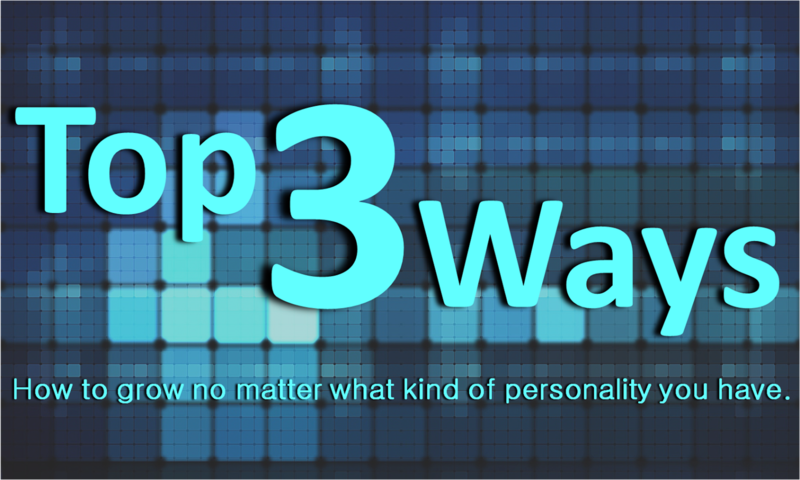 Top 3 Ways to Grow in Your Faith if You Are A . . .
Control Grabber - the person who likes to call the shots and is happiest when others see things his or her way. Leverage your desire to control by equipping and empowering others. Occasionally put yourself into the role of a follower, serving in an area outside of your skills and competencies. Ask a trusted friend to meet with you regularly and be honest with you about times when your need to control becomes dysfunctional. Risk Taker - the person who is always looking for a new adventure and the next big thing, even if it is yet unproven or even untried. Make sure you have a place of refuge to go to when the risk taking fails to pay off. Leverage your risk taking to create something new, or do something grand that others say cannot be done. Lean into the wisdom of community or a trusted friend to let you know when the risk-taking moves from creative to either destructive or escapist. Fun Seeker - the person who is happy to follow, let others lead and chart new territory as long as there is a way to turn it into a party. Use your desire to have fun to lift and breathe life into the people around you rather than merely entertain yourself. Lead the way by showing others how to take joy in even the mundane things of life. Make sure you have a community of friends close by for times when life turns to something other than fun, as it frequently does. Peace Maker - the person who wants everyone to get along and be happy with the way things are going as soon as possible. Leverage your strength to help bring people together who might otherwise be at odds. Seek out opportunities to be a calming presence in the life of someone who feels that their life is spinning out of control. Make sure you have a community of believing friends close at hand for those times when peace is hard to find, or to help you see when it is time to fight for something of value.